Swollen feet and ankles are known as edema and this is a very common health issue during pregnancy. There many reasons which cause edema during pregnancy. This problem normally occurs because of excessive blood flow and fluid movement to feet or ankles. For a pregnant woman swelling on feet, ankles and legs are common and not a serious health issue. You can reduce swelling on feet, ankles, and leg during pregnancy at home with natural remedies. 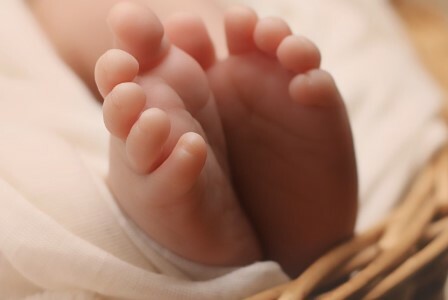 1 Why does woman have swollen Ankles Feet during Pregnancy? Why does woman have swollen Ankles Feet during Pregnancy? The main cause for swollen ankles and feet during pregnancy is increased in body fluids and blood flow. This problem occurs when your baby needs blood and fluids to nurture. So to fulfill baby’s demand your body stored fluids which causes swelling in ankles and feet. Swelling ankles and feet are very common for a pregnant woman after 22 weeks. Swelling during pregnancy is quite common but an uncomfortable health issue. Around 75% of pregnant woman suffer from this problem. Swelling on ankles, legs, and feet are common but if you noticed swelling on face, hands or puffy eyes then it may be a sign of preeclampsia. If swelling stays more than a day then visit your doctor. If you have symptoms like swelling on the face, swelling around the belly, swelling on hands or around the eyes then you need immediate medical attention. These symptoms can be because of high blood pressure, sudden weight gain or protein in the urine. So if you see any abnormality with your urine and blood pressure then consult with a doctor. During your 3rd trimester if you have a headache and vision problems along with swollen face and hands then consult with your doctor as soon as possible. Swelling on ankles and feet are normal during pregnancy. It is not a serious health issue but it can make you uncomfortable. So before you rush to a doctor use natural ways to reduce swelling at home. Home remedies are a safe and easy way to reduce swelling during pregnancy. A cold compress is one of the easiest and effective methods to reduce swelling on your ankles, legs, and feet during pregnancy. This remedy also helps to decrease pain. Take few ice cubes and wrapped in pepper towel or washcloths and apply on swollen area for at least 15 minutes. Do not apply ice directly to the skin. During pregnancy, your body needs more rest than usual. If you had a long day then give your feet proper rest During Pregnancy to Avoid Swelling. Avoid standing for a long period of time. Standing for hours can cause swelling during pregnancy. So manager your work accordingly so that you don’t have to stand for a long time. Give your feet proper rest and massage. You can lie down on bed or sofa and your feet should be above your head level. Regular exercise is very important during pregnancy. It will increase fluid and blood circulation in the body. You can do yoga which also an effective option to avoid swelling. Go for light exercise like jogging, stretching, swimming or cycling etc. You can also consult with your doctor if you were not exercising before pregnancy. Same with yoga if you are new to yoga then check with your doctor and perform yoga under yoga instructor. A very effective home remedy to reduce swelling during pregnancy 2nd trimester. A warm bath can help you reduce swelling. You can add a few drops of grapefruit essential to make warm bath effective. If you notice swelling on your feet and ankles then soak your feet and ankles in a bucket of warm water and add a few drops of essential oil in it. Another simple and soothing way to reduce swelling during pregnancy. Take a few drops of carrier essential oil, grapefruit oil, and olive or sweet almond oil. Mix all the essential oils and massage on the swelling area. Repeat this remedy 2-3 times in a day and get rid of swelling during pregnancy in 7 days. Take bath in Epsom salt water to get rid of the swelling. For a pregnant woman having a bath with Epsom salt is a very effective natural method to reduce pain and swelling. Add few tablespoons of Epsom salt in your bathtub and take 15 minutes long relaxing bath. You can also soak your ankles and feet in a bucket of salt water if you don’t like to have a bath. Drinking more water helps your body to store less amount of fluid for you and your baby. It will also help to reduce water fat in your body. Drink 8-10 glasses of water in a day. You can also drink cucumber and lemon water instead of normal which help your body to keep hydrated. Drinking more water also helps your skin to glow. Magnesium deficiency can cause swelling during pregnancy or increase swelling. Best way to maintain magnesium level in the body is through diet. Increase the intake of foods which contain a high amount of magnesium. You can also take a magnesium supplement but consult with your doctor first before taking any kind of supplement. Making a small change in your sleeping habits can be a blessing to you during pregnancy. It will help in reducing swelling on the ankles and feet. This change in sleeping position can take off the pressure from vena cava and help in blood flow. If you notice swelling on your legs then keep your legs elevated during sleep. During pregnancy, it is advised that you should avoid salt and coffee as they can increase swelling and can cause high blood pressure. Too much amount of coffee and salt can have bad effects on your body during pregnancy. Go for a morning walk. Always talk to your doctor about swelling and other small issues during pregnancy. If you know swimming then go swimming or walk-in pool to reduce swelling. Swelling during pregnancy on your feet, legs, and ankles are very common during 2nd and 3rd trimester. This is not something to worry about until you have sudden swelling on face, hands or on eyes. when you notice swelling on face then visit a doctor. You can reduce swelling on feet, ankles, and legs at home with simple natural remedies. Comment on your suggestion and feedback in the comment box.